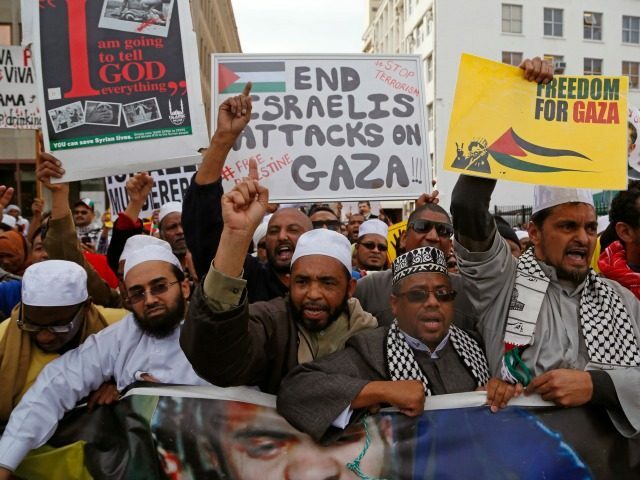 The annual event, organised by the Islamic Human Rights Commission, is seen as a profoundly anti-Israel rally by members of the London Jewish community and is due to take place on Sunday 18 June. It will go ahead in the shadow of news that terror attack fears have forced organisers of Britain’s largest pro-Israel event to scrap plans for this year’s edition of A Night to Honour Israel. Last year’s Al-Quds Day rally saw a heavy presence of Hezbollah flags, the standard of an illegal, proscribed, antisemitic terrorist organisation, held aloft by marchers as police allowed them to go on undisturbed through London’s central business district to the American Embassy in Grosvenor Square. Mr. Khan has previously refused to back a request for Hezbollah to be a designated a proscribed organisation. Organizers of the petition point to the terrible, recent terrorist events in Manchester and London as further evidence why this display of extremism has no place on the streets of the UK. “Allowing this march to go ahead will send a worrying message to the UK’s Jewish community and call into question the commitment of the Mayor of London to eradicate extremism and anti-Semitism,” the petition outlines. According to the Jewish News, Sharon Vieira-Poole, from the Information Team at the Mayor’s Office for Policing And Crime (MOPAC), said Mr. Khan had personally discussed the march with the Metropolitan Police Commissioner. Al Quds Day had its beginnings as an annual day chosen by the late Ayatollah Khomeini to call for Israel to be destroyed.